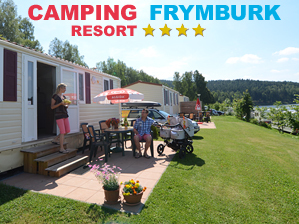 Reservation of mobile homes is in season only possible from/till Saturday! 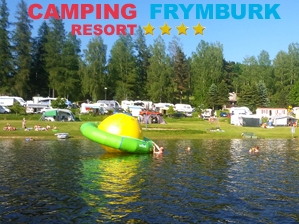 In the campsite you can pay for your accommodation by credit cards (Visa, E-Master) or in cash in CZK or Euros. When paying in cash you get a 3% discount. You can check the price for a given type of accommodation in the the online calculator, or download a complete price list. If interested, you can then proceed directly to reservation demand. The reservation is final only after receiving an email confirmation from us, which will be sent to you as soon as possible after checking the available capacity. In the confirmation email you will find all the necessary payment data for the advance payment - see our booking conditions. We offer discounts and arranging the individual program for groups. Send us your idea and we make you an individual offer. 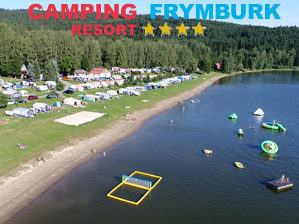 You can now also use the 15 % discount card from Topcamping CZ. The voucher 15 % obtains every guest on his departure from any of campsites of this group. 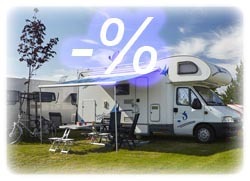 In the low season is also possible use it in combination with the ADAC CampCard/ANWB Camping Key. More informations about the dicount card you can read on the site www.topcamping.cz. Please, let us know on arrival that you would like to use some discount card. Please only notify us of this fact at your arrival and show us a document with their birthdates. 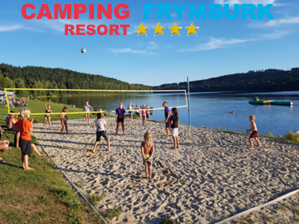 Order your stay for a full week and pay for 7 days on the Standard Type with 2 people, except tourist tax = just 2.800, - CZK / 112,- Euro. In addition, you will get a cycling map of the surrounding area and vouchers for Wi-Fi (for 2 people)! 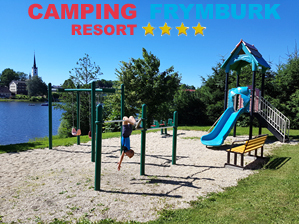 the offer is valid for a stay of 7 days and in the period 8.5.-22.6.2019 or 31.8.-8.9.2019 only. If you decide for another type of place (Comfort, Comfort plus, or Premium), you will pay the price difference between the selected type and the Standard type. In case of a longer stay or if you come with more people, you will pay for them normal prices. It is better to book min. 2 weeks in advance - note that you want to use the "Week" offer and you do not have to pay the reservation fee. Offer can't be combinated with an another discount. In case of shorter stay, the price will be calculated according to the normal valid price (included the reservation fee and Wifi).